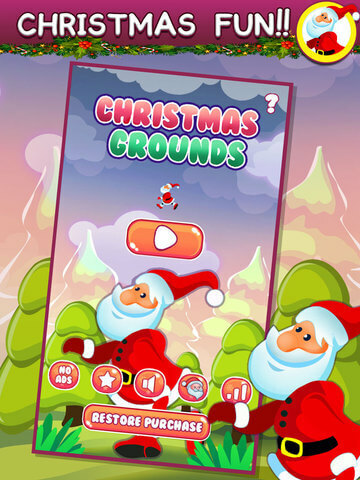 CHRISTMAS GROUNDS In their rush to get ready for the holidays, Santa and his helpers have lost all the gifts. 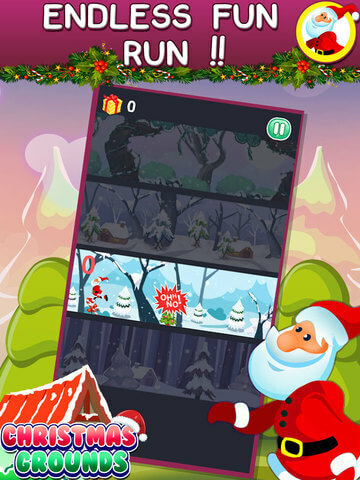 Help Santa collect all the presents and unlock other members of his team in the process. 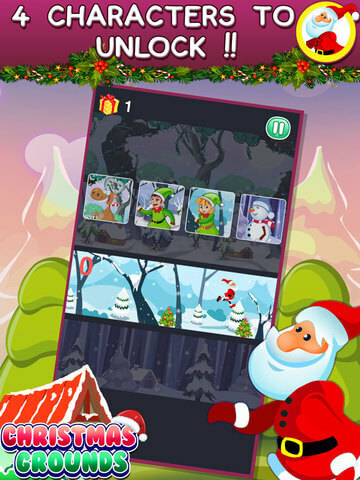 • In their rush to get ready for the holidays, Santa and his helpers have lost all the gifts. 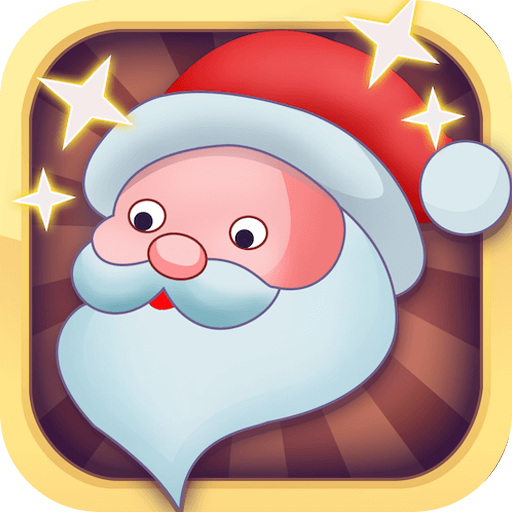 Help Santa collect all the presents and unlock other members of his team in the process. • Made using Cocos2D-x and chipmunk physics engine. 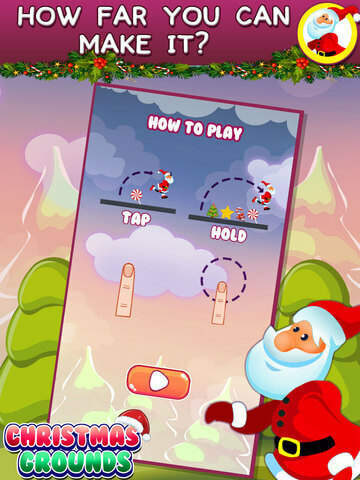 • Supports iOS, Android and Amazon devices.